This lovely property has many classic elements of a San Francisco Victorian such as period moldings, wainscoting, and built-in cabinetry. Features include a double parlor, formal dining room, a large kitchen, 2 bedrooms, and 1 bathroom. There are beautiful hardwood floors throughout the home. The kitchen and bathroom have been recently updated. The kitchen is nicely laid out with plenty of counter space for the serious cook. The dining room located in the rear of the house has built in cabinetry, elegant wainscoting, and a decorative fireplace. The house is in excellent condition. The walls have been recently re-plastered and the wainscoting and molding have been restored. The house has a new furnace, several new windows, and new recessed lighting. There is large garden behind the property. 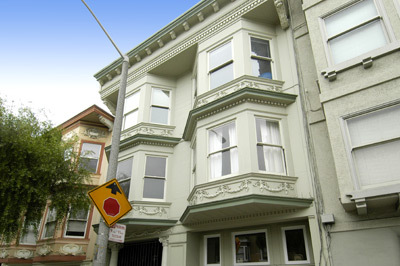 This home is located in the Duboce Triangle and is just a short walk to the shops and restaurants of Castro Street.